Leading Manufacturer of acrylic catalogue stand from Delhi. Acrylic Catalogue Stand is a premium exibition accesory with attractive look. 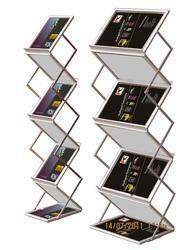 Excellent solution to display your catalogues for visitors in any exibition or showroom.